MTN BIS on OpenVPN offers unlimited browsing on the Daily, Weekly and Monthly plan. The “unlimited” is however SIM dependent but you are guaranteed at least 5 GB download on the One Day N100 plan. 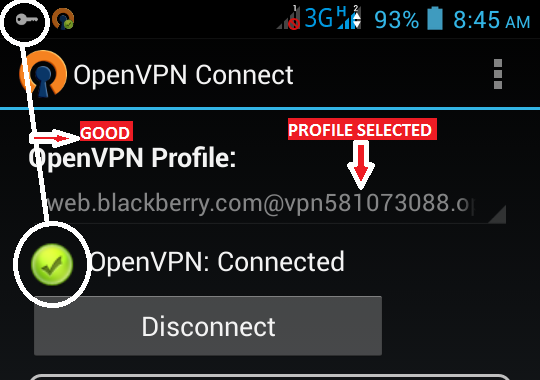 Download and set up the OpenVPN VPN on both Etisalat Social Chat, MTN BIS and MTN musicplus from the config files here for fast and stable browsing and downloads both on Android and iPad or iPhone. The settings are optimized for fast browsing. This app is simply the best, very stable and do not drain battery. 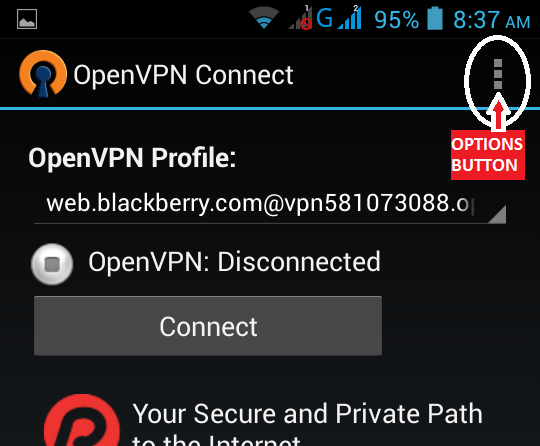 Download and install OpenVPN [Click Here] or from Playstore. 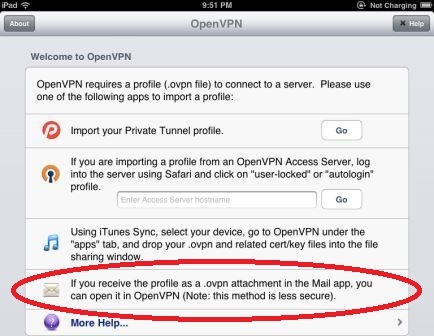 To Import the config file into OpenVPN App on iPhone or iPad, use either of these two ways: iTunes app on PC and E-mail box. The easiest way to import the config file is through Mail. If you have downloaded the download the config file here, just send it to your mail or alternatively request for the config file via sending me mail to ityunit at gmail dot com. The config file ASAP.will be forwarded to you. For monthly BB10, dial *216*3*3#, cost N1000. 4. 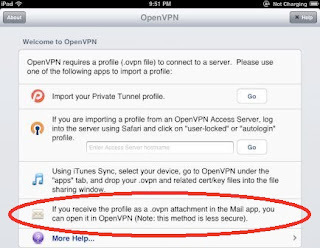 Open the OpenVPN app and select the “Option” button, then select “Import”. 5. On the “Import” option, select “Import profile from SD card” and navigate to where you extracted the Config folder to. 6. On the Config folder, choose any of the file you wish and import. “Connect” just below it and wait for the button to turn green. 8. Once the icon turn green and you see the key icon on your notification tab, viola, you are connected. New server and password available? Please it keeps requesting for username and password on pc, please what should i enter ? Please note that this procedure was for Android but if you already have the pc client then follow me. This is the updated credentials to log in (July 1). Input it when asked but I'm surprised that it is requested cos the text file inside the Config folder should take care of that. Check your mail for the servers and password. I have sent the config files, I hope you know how to extract a zip folder on android. Gud day Sir, please am in need of the openvbn for android.My email is salakoolatunde@gmail.com. I need the BVN configuration. My email is salakoolatunde@gmail.com. Get the updated pw and try again. Reply by email if you still have issues let's sort it out. The one shown here ie " span8CHa "
Still valid as of today 24 Aug, are you having authentication problems during connection? Is it still working? Keeps showing openvpn authentication failed. Bro, please this is my email tomiwabeckley@gmail.com please could you be sending the passwords to me? Mine just stopped working even when it's not up to a month. It's just not connecting at all. Don't know why. Help with it. Pls is there any new improvements? I have followed the instructions with the lastest password which is s6EdUrak and i still dont have a connection. hello Pls here is my email send me the configuration, username and password. i have followed your post and downloaded the open vpn. nice work and keep it up. here is my email address ndcode@gmail.com. Hello, thanks for the files you sent to me. After extracting the file i was unable to put the username. i need help on how to make vpn work for me. thanks in advance. From your first comment on the other post, I was waiting patiently for success knowing that you will be trying out all options to get it right as everything I could possibly tell you is already outlined. I hope you will also find a way to make it browse cos it must browse! I still can't browse with it. Which APN am I supposed to use? I really need to know if that's the cause. Cos I've tried everything outlined there. Plx help out wit d current pw, d updated 1 didnt work fr me... Here is my mail, ibtexcomputers@gmail.com tanx in advance..
the openvpn refuses to connect , is the server blocked? Launch ur iTunes and import the server then sync it to ur iPhone. Wooow....for the first time in history, something worked for me. Connected but it's like my BIS MB's exhausted and it's no more browsing. Seriously, I dont think you could finish 5 gb in a day of browsing or unless you did the monthly which can finish anytime. For the fluctuations in connection, set your network to 3G or WCDMA or UTMS only (whichever one applies). it doesnt work in edge. Thanks for your help so far...but the connection is so slow, i'm not sure i can use up to 100mb with the current speed. Can you assist on how to speed it please, especially for downloads. Thanx bro.You are soooo on point. Una 2much. I dy wait since 4 d password for 28th Oct. Thanks tho... Peace out. Gud day sir, pls send me the config file, username & password: my email address: juboyes@gmail.com and my bbm pin: 58fb6905. Thanks, pls help me brother! can you make the password and username changed monthly? Bro I have been trying to connect since yesterday but couldn't do u think it's server problem or password or could mtn have winged into action? pls settings for simple server and psiphon, any new server that rocks? pls admin any solution to this problem of vpn server not connecting? okay but how can i upload the server? 1. How can I stable my network connection. I keep offing and oning my network data connection and in each case stopping and starting my simple server for my internet to work in my phone. Am using Gionee M3. 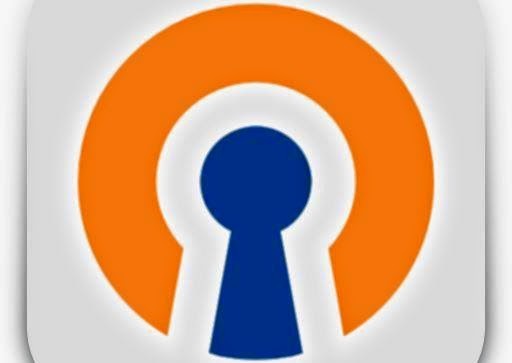 Admin, pls has the openvpn started working on android again? Dear Admin. Yes I use MTN. I have tried throttling my bandwidth but don't know where to do it in my data usage. Is it by background data restriction? My Psiphon100 seems to be slower than simple server. Is it so? Am happy hearing about your incoming post on utorrent download. Lol can't wait to see it.